On Monday, the Rt Hon Eric Pickles MP (Con), the Secretary of State for Local Government, announced that Hammersmith and Fulham will have a 6.56% cut in central government funding. He also announced an interesting solution to balancing the books. 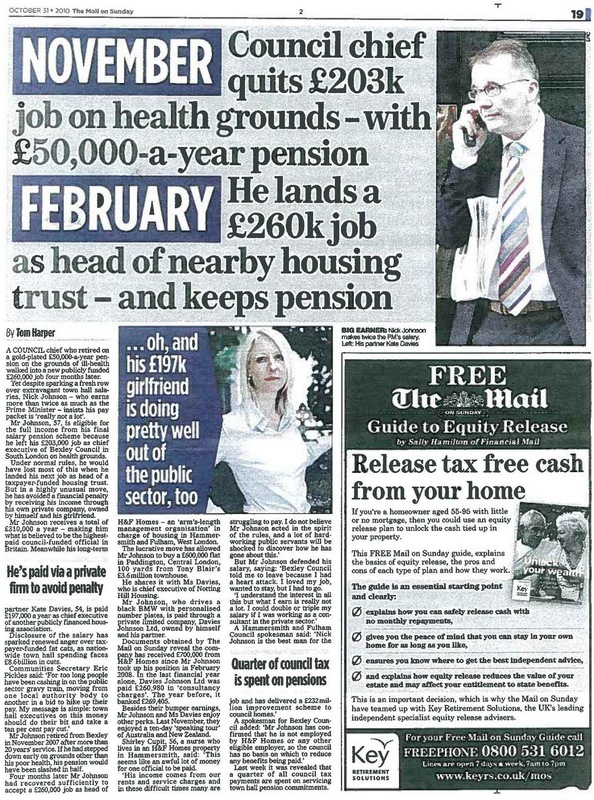 He said “Councils could cut chief executive’s pay.” He should re-read this article scooped by the Mail on Sunday on the 31st October 2010. It tells how H&F’s Nick Johnson “receives a total of £310,000 a year – making him what is believed to be the highest-paid council-funded official in Britain.” The Mail explains that this sum is a combination of Nick Johnson’s ability to draw a £50,000.00 local government pension as well as invoicing H&F for over £260,000.00 a year. He is able to claim both these amounts because the Hammersmith and Fulham money is paid to his private limited company (Davies Johnson Ltd) rather than directly to him. I think Mr. Pickles should look into the circumstances around this. Nick Johnson is currently paid as H&F Council’s interim Housing Director and the Chief Executive of H&F Homes - its 100% owned housing management subsidiary. Prior to that he had worked as Bexley Council’s Chief Executive where, according to this newspaper report, he was paid a salary of £203,000 a year. But he retired from Bexley earlier than the normal pensionable age on 4th November 2007. This happened after he was deemed to be so ill that he was “permanently unfit to discharge his duties or any comparable duties as defined by the Local Government Pension Scheme regulations”. Dr. Johnson started work in Hammersmith and Fulham on 11th February 2008 – fourteen weeks and one day after he retired. Since then he has billed H&F around £700,000.00. This sum equates to a 1.17% cut in council tax for each Borough household. Davies Johnson Ltd was incorporated on the 27th February 2006. The Swanley and Dartford Chronicle finds these goings on highly questionable and says Nick Johnson “clearly works for H&F Homes” on page 2 in this piece titled “Miraculous Recovery”. H&F Conservatives say Nick Johnson is “good value for money” in this article here. Our local Conservatives’ admiration for Nick Johnson were first published by Cllr. Stephen Greenhalgh (Con) when he thanked him and others for the “tremendous amount of help as we have developed our thinking” on page 6 of this controversial policy paper titled Principles for Social Housing Reform. Many of the ideas in Cllr. Greenhalgh’s paper are now set to become government policy. 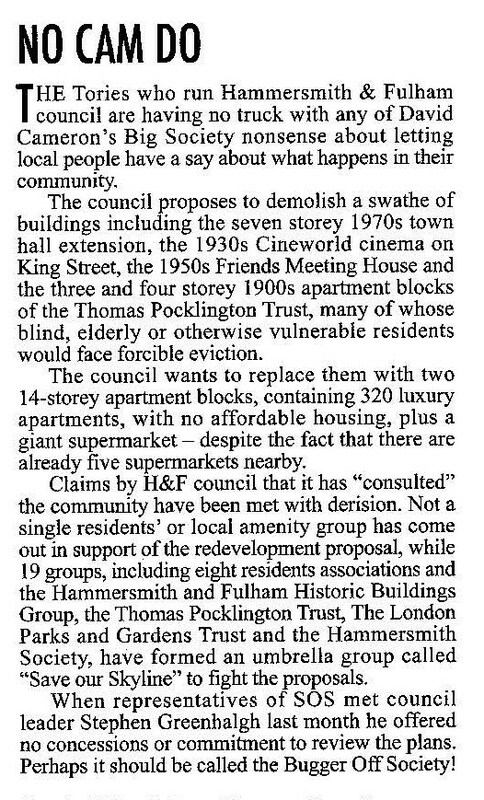 These including hiking social housing rents to “near market values” and removing people’s rights to secure tenancies. 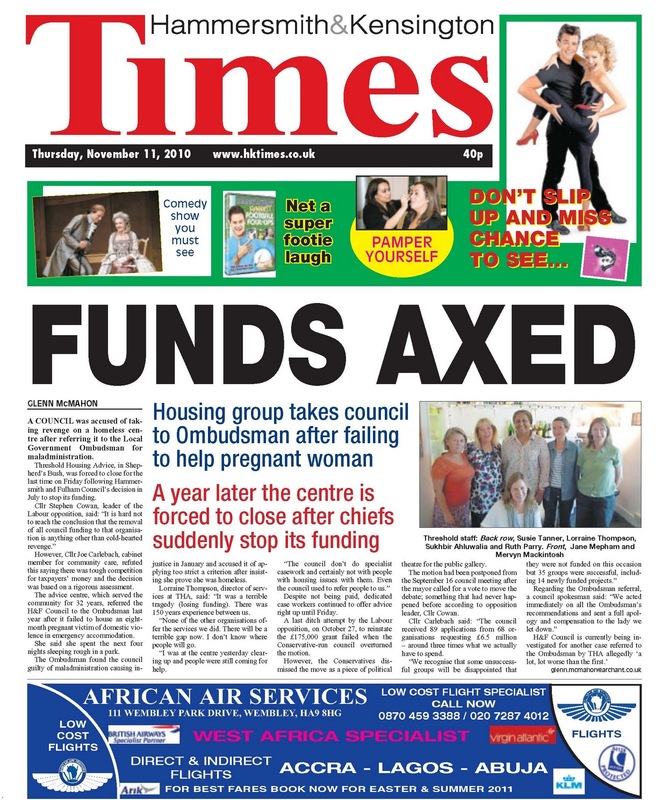 On the 24th June 2010 Nick Johnson gave evidence to the Borough's Housing, Health and Adult Social Care Select Committee to say he worked “full time” for both H&F Council and its housing management provider H&F Homes. I asked him how this has come about and he told the committee that his work for the Council had begun following a “personal request from Geoff Alltimes” - Hammersmith and Fulham Council's Chief Executive. On the 30th July 2010 I received a response from H&F Homes telling me “Davies Johnson Ltd’s supply of Nick Johnson’s services to H&F Homes is commercially sensitive information and subject to commercial privilege.” They flatly refused to tell me how much was being paid to that company. I continued to ask questions and on the 20th October 2010 I was sent the exact information which showed that in the period 2008/09 Davis Johnson Ltd was paid £268,405.00 and during the period 2009/10 it was paid £260,980.00. On 22nd November I wrote to Geoff Alltimes to find out why I was misinformed. Indeed, in the worst instance Nick Johnson had actually been paid £108,405.00 more than Mr. Alltimes told me. As yet, I have not had a reply. This behaviour is very concerning. It also makes H&F’s boast that it would be “Britain’s most transparent council” look more than a little hollow. Grant Shapps MP (Con), a government minister who works for Eric Pickles MP, was on the Politics Show on Sunday. He was complaining about a council paying its Chief Exec £170,000.00 a year. Maybe he and his boss should take Hammersmith and Fulham Council to task as our Chief Exec is also one of the highest earning local government officials in the UK and well takes over £270,000.00 out of the public purse. Add in Nick Johnson’s vast payments and it’s reasonable to wonder who is bearing the brunt of the cuts to services in Hammersmith and Fulham? It doesn’t appear to be our high ranking bureaucrats. H&F Council now admits that over the last five years alone, they have wasted up to £250,000.00 in electricity and burnt an unnecessary carbon footprint of 1,250 tonnes of CO2. The reason? They couldn't manage to turn the lights off in the Town Hall Extension. H&F Council proudly tells us "We have estimated that this will save the council approximately £40- 50k a year and will reduce our carbon footprint by 250 tonnes of CO2." Consider for a moment all the horrible cuts in services or the vast amount of stealth taxes local residents have had to suffer in recent years. Meanwhile, they were literally burning our money night after night. This tells you a lot about what is wrong with H&F Council and provides an insight to the ineffective culture around their cuts programme. 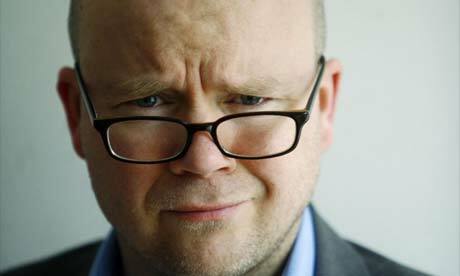 What Are H&F Conservatives Offering Toby Young's Free School? H&F Conwatch is reporting that our local Council is considering handing over the Askham Family Centre to Toby Young (see pic) so he can temporarily turn it into his free school. I have written to the director of education to seek clarification and find out exactly what is happening. Toby Young is an associate editor of The Spectator and also writes for The Daily Telegraph. H&F Council has been in talks with his school organisation for some time about using Palingswick House as a permanent home for his free school - once all the charities that currently use that building have been successfully evicted. The BBC provides a full report here. A wide range of families, including those with severely disabled children, are currently provided with vital support at the Askham Family Centre. I will tell you what H&F Council plans to do with them once I have a responce from the director of education. Remember this disastrous council cabinet meeting on the 12th November? Or this mass demonstration against, amongst other things, H&F Council's Shepherds Bush Market plans on the 27th October? Well, the Shepherds Bush Blog has scooped the Conservative Administration's long-awaited response to all possible concerns. Have the Council listened? 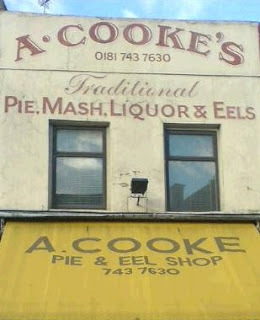 Have they agreed to genuinely work with the residents and traders and put forward regeneration proposals all can support? Er... No. Instead, the have gone for their default position and put out an expensive piece of propaganda telling us all how positive their plans really are. Chris Underwood has the whole story here. Meanwhile, the next public meeting to consider the Shepherds Bush Market proposals will take place at 6.30pm on Wednesday, 1st December 2010 and will be held in the old Shepherds Bush Library, 7 Uxbridge Road, Shepherds Bush. Today the BBC, the Guardian, the Independent and a plethora of media report that,"new social housing tenants could be kicked out of their homes after as little as two years under Government plans." 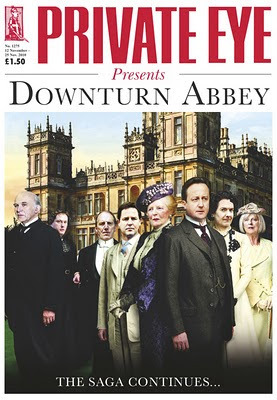 They tell us the "Coalition moves to put an end to lifetime tenancies will go even further than previously indicated". This policy originated here in Hammersmith and Fulham. It was published by the Leader of H&F Council in this document. The Guardian made this video and repeatedly asked the Council Leader; Grant Shapps MP (Con), the current Housing Minister and many other leading Conservatives to explain their plans. But all remained schtum. It would have been electoral dynamite it they'd announced it before people voted. So they didn't. Instead the Conservatives proclaimed to anyone that would listen that my Labour colleagues and I had told "lies" about their plans to severely curtail tenancy rights for social housing residents. The Prime Minister even joined in and made this "lies" allegation in the Daily Telegraph. It's unusual for politicians to use the word "lies" as it is considered to be "unparliamentary language" and is forbidden in the House of Commons. 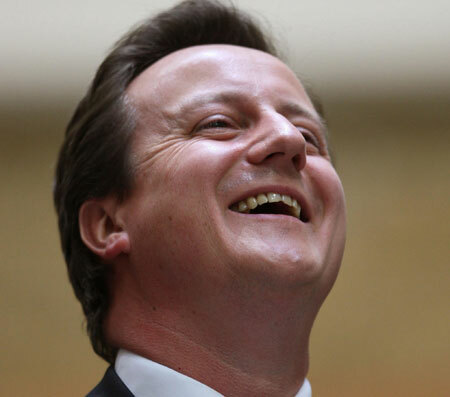 So you'd think Mr. Cameron would have wanted to be on rock solid ground before talking in such bold terms. But he wasn't. It's not the first time Mr. Cameron has been so careless with his language. I noticed that he also accused the Labour Party of lying over pensioner benefits in this interview with the Telegraph. Doesn't look like he was right on that one either. Shelter has written to say that out of the 433 local authorities in the UK, Hammersmith and Fulham will be the tenth worst affected by the government’s housing benefits and Local Housing Allowance (HB) cuts. Families in, for example, a 3-bed home will be a staggering £204 a month worse off. Meanwhile, the Department of Work and Pensions’ (DWP) own analysis demonstrates that 100 per cent of those in 1,2,3,4 and 5 bed-properties who receive any form of HB will lose out in our Borough. 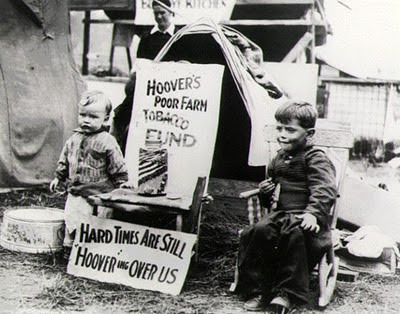 Hundreds of households will be evicted and many will become homeless. But none of this information was presented at Tuesday night’s Housing Select Committee when we met to consider the consequences for local residents. Instead we were given this inadequate report. Cllr. Andrew Johnson (Con), the Chair, agreed that the HB cuts are the biggest issue ever presented to his committee but then said H&F's officers were only capable of providing an interim report - despite the Opposition asking for an urgent briefing last June. Cllr. 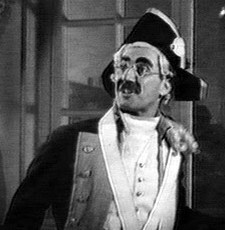 Johnson was unconvincing when he tried to explain the extraordinary absence of the Housing Director. Instead we were provided with a single official who did his best but struggled to answer many questions. As the meeting progressed my Opposition colleagues and I realised that all this was indicative of H&F Council's lack of interest and readiness to deal with the resulting problems the HB cuts will bring. Tuesday night’s meeting was devoid of this independent research or any authoritative analysis. Instead, we were given lots of “anecdotal” hearsay. For example, “We have no information on the number of landlords that will lower their rents to accommodate these changes” we were told, “but anecdotally I don’t believe landlords will be averse to doing this”. "Have you surveyed local landlords?" I asked. “No” - they hadn't. "Has the Cabinet Member for Housing met with the National Landlords Association to hear their concerns?" I questioned. “No, but anecdotally, we believe sufficient numbers of them will lower their rents” came the reply. Consider this brief by Shelter which says, “the vast majority of HB claimants are either pensioners, those with disabilities, people caring for a relative or hardworking people on low incomes, and only one in eight people who receive HB is unemployed”. Crisis says, “the coalition Government is misrepresenting the reality of benefit claimants” And the BBC reports Age UK's analysis that the “80,000 pensioners who rent privately face losing an average of around £12 a week in payments." This, they conclude will “leave some elderly people on such low incomes their health may be at risk." All this research conjures up a horrible backward vision for the future of our society. One that has more in common with the wretchedness of the Great Depression than our aspirations for the 21st Century. Contrast that research with the views expressed by Coalition ministers who have described those reliant on benefits as making a “lifestyle choice.” The Prime Minister himself has sought to mislead the public by implying that vast numbers of benefit claimants are living in homes many people "couldn't even dream of." A view that appears to ignore well-researched evidence expressed by a plethora of independent experts and is apparently based on no more than ignorant class-prejudice. estimate 1,300 Borough residents being affected in some way but have no idea whether there will be “a small wave of homelessness applications or a homeless Tsunami” in the Borough. are not alarmed that the National Housing Federation disagrees with them and forecast 1,940 local residents being affected. Indeed, it appears that the DWP also disagrees with H&F Council as on page 20 of this government report it shows there are 2,670 Hammersmith and Fulham residents affected by changes to the Local Housing Allowance. made no mention in their report of the HB changes for job seekers. say that 650 tenants had been placed in private rented accommodation by the Council themselves and they would look to reassess these people if approached by them. admitted that no work has been done on those HB claimants whose rent is currently below the new cap but who are likely to be affected next year after their rent is subjected to an annual upward review. admitted that they are considering how to spend the government’s transitional payment of £400k but have not ring fenced this to deal with the resulting homelessness. agreed that Black and Minority Ethnic (BME) residents in receipt of HB could be adversely affected as figures demonstrated that certain groups had larger families and therefore lived in larger properties. The Council said they hadn’t carried out an Equality Impact Assessment. Given the possibility of a “homelessness Tsunami” hitting our Borough, it was perplexing to witness the Administration's lacklustre approach to this matter. It is particularly hard to understand why this Conservative Administration is actually closing homeless support agencies. And their aggressive policy of tightening homeless acceptance criteria will have devastating consequences for the households that find themselves kicked out of the place they live. One obvious consequence of the HB cut is that people on low incomes will be removed from areas such as Hammersmith and Fulham. Shelter says that by 2016 this policy will have made significant changes to the population of London. The Observer put this story on its front page and even Mayor Boris Johnson has accused the Coalition Government of "Kosovo-style social cleansing." But the fact is this appears to be the feature of these changes that the Conservatives actually find most appealing. After all, the right-wing economic philosophy behind this policy is the same as that proposed by the Leader of H&F Council when he urged a hike in social housing rents up to "near market levels" (a policy now agreed by the Coalition Government). The idea being that the “invisible hand of the market” will collar people on anything other than high incomes and shift them out of areas like Hammersmith and Fulham – which has the fourth highest land prices in the Country. So, it was to Cllr. Lucy Ivimy's (Con) credit that she agreed for me to arrange briefings with Shelter, and the Small Landlords Association/National Landlords Association in her role as the Cabinet Member for Housing. The Chair of the Housing Select Committee also agreed to bring back a full report to the February Meeting and said he’d ensure that the Housing Director and housing benefits officials actually attend this time. I also asked that we have independent evidence presented by expert sources outside of H&F Council. Hopefully, that will be arranged for the next meeting as well. My position on housing benefits has long been that it needs radical reform. But not like this. I will report more as this story unfolds. Ms. Aniza Meghani and Mr. Andrew Frederick were two of the local residents that braved the rain and cold to attend Hammersmith and Fulham Council's Cabinet Meeting last night. They were presenting petitions concerning the Conservative Administration's plans to demolish Shepherds Bush Market, destroy many of the current businesses and move a homeless refuge to a residential street. These are emotive issues but both petitioners gave sober, evidence-based presentations that demonstrated a detailed local knowledge which any reasonable local authority would want to genuinely consider. But last night's encounter felt uncomfortably odd. In part, this was because when H&F's Cabinet was invited to question the petitioners and learn more about their concerns none of the eight Cabinet Members did so. In fact, they all looked extremely embarrassed - leading many in the thirty strong crowd to openly mull over what had led to this shame-faced, bowed headed response? The Cabinet were evidently jittery and this appeared to be a factor in Cllr. Stephen Greenhalgh's, (the Leader of the Council) bizarrely aggressive interactions. These began when Cllr. Mike Cartwright (Lab) said he had some questions to ask the residents and raised his hand to do so. "No!" was the angry answer spat across the room. Cllr. Greenhalgh tried to move on but I intervened to say "He must know that there are increasing numbers of people in this Borough who do not believe for a moment that their concerns are being listened to by his Administration. Many of these residents are life long Conservatives and even their voices are not being heard. Save Our Skyline, the Goldhawk Industrial Estate Campaign, Save Sands End... are just a few of the residents groups that have formed in response to this and that list goes on and on." I asked him "why add tonight's groups of residents to that list, why not engage with them and ask questions - which is what these residents had rightly expected to happen when they turned up tonight?". To be fair to Cllr. Greenhalgh, he did respond to that point. Sadly, for the people in the room it began with the words "Shut up... pin your ears back and listen". He then went on to tell us his views on the matter - some of which were interesting. Putting all this to one side: it's worth asking what would be the international response to any leading political leader in an established democracy who decreed not to allow the official Opposition's voices to be heard in the most important committee in their elected body? And how much worse would the outcry be if all this happened against a back drop of widespread public discontent on a highly controversial matter being considered by that committee? There would rightly be accusations of aspiring towards a tin-pot dictatorship, and so on. But that is exactly the sequence of events that occurred last night. Given Cllr. Greenhalgh's oft asserted position that he's "in listening mode", I can't believe that he will reflect on last night's events as anything other than a disaster. You can read more about that meeting at the Shepherds Bush Blog. Meanwhile, local residents and traders have arranged a public meeting to consider the Shepherds Bush Market proposals. It will take place at 6.30pm on Wednesday, 1st December 2010 and will be held in the old Shepherds Bush Library, which is at 7 Uxbridge Road. I understand that Cllr. 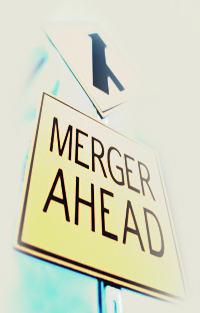 Greenhalgh has now agreed to attend. Local librarians experienced a bruising encounter with Westfield's "security guards" yesterday morning while they were standing outside of the Shepherds Bush Library handing out leaflets and asking people to sign a petition. Four of the five people alleged to have been hassled were women. Chris Underwood of the Shepherds Bush Blog filmed some of the incident and gives a full report here. The librarians are asking people to support their objection to H&F Council's proposals to cut their wages between a staggering £2000 to £7000 a year and they object to the closure of several local libraries and the mobile library. The librarians also want the Council to reverse its plan to stop employing specialist reference librarians - many of whom have advised students and school children using local libraries as a quite place to complete their home study and a place where they can benefit from expert research support. H&F Council wants to replace these professionals with unqualified staff instead in what is little more than an attack on knowledge. The new Shepherds Bush Library was negotiated as part of a Section 106 agreement when Westfield was given planning permission over ten years ago. So I don't believe Westfield's bouncers had a legal right to move the librarians on the basis that they were on Westfield land. The library isn't their land. It's Council property. But putting that aside, it is a hard fought for and intrinsic British right for people to be able to protest and have free speech. Westfield's aggressive actions were contrary to that and this reflects badly on their reputation. I believe that many of the retailers that have taken space in the shopping centre will be embarrassed by Westfield dragging them into this issue. I will be writing to Westfield to ask for a full explanation; for an apology to the librarians and for an assurance that this won't happen again. I will also write to H&F Council's Chief Executive to seek assurances that he will take this matter up with Westfield and that the Council does not support the suppression of these legitimate, peaceful protests. Last December the Daily Telegraph put H&F Council on its Top Ten List of Parking Shame. 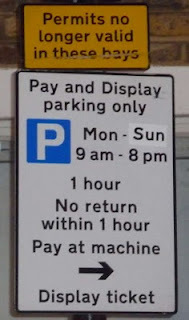 That doesn't seem to have caused a moment of regret amongst the Conservative Administration as last month they unveiled new plans to introduce a 55% increase in parking charges across most of the Borough. The first of these ticket price hikes kick in this month. The Conservatives have also announced a 20% increase in parking permit charges. This January they will rise from £99 to £119. 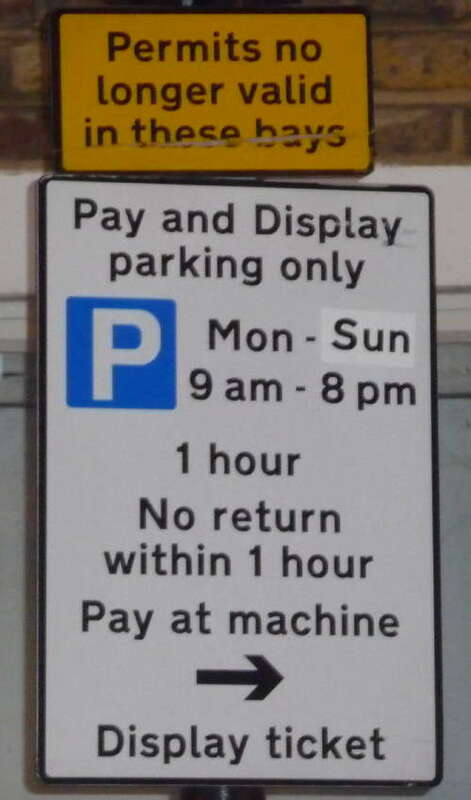 And car driving residents will be hit again if they wish to park outside of their neighbourhood parking zone as parking ticket prices will jump from £1.80 an hour to £2.40 an hour. A further leap will be added next year when the Administration says it will increase the charge again to £2.80 an hour. The Conservative Administration's excuse for their latest soaring stealth tax is "these prices put us on par with other inner London Boroughs". But that statement appears to be at odds with the facts when you consider that hourly tickets can be purchased in Kensington and Chelsea from 50 pence; in Wandsworth from 70 pence and in Southwark from 80 pence - you can even park in parts of Westminster for £1 per hour. Regular readers will recall that H&F's Conservative Administration has brought in over 500 new or increased stealth taxes and that Nick Botterill (Con), the Deputy Leader of our Council (and the person responsible for parking policy) successfully argued for an increase in the level of parking fines which saw the cost rise from £80 to £120. H&F Council has been found to take too long in responding to Freedom of Information (FoI) requests from members of the public. The Information Commissioner's Office (ICO) is now monitoring H&F Council after it was found to have responded to less than 85% of request in a timely manner. This probation will last for three months. Having seen H&F Council's approach at close quarters I believe that it has a deliberate policy of making it awkward for members of the public to get information they are entitled to. The reasons for this vary from fear of looking incompetent, self-serving or wasteful to a culture of indignation amongst senior bureaucrats at the public having a right to ask them about their dealings. Whatever the reasons, I hope H&F Council gets the messages and changes its ways. If you'd like to find any information from H&F Council then you can email them by clicking here. Alternatively, you can write to them at: H&F In Touch, Room 229, Hammersmith Town Hall, London W6 9JU. The Council is obliged to provide advice on how to make an FoI request and it has done so here. “You can fool some of the people all of the time, and all of the people some of the time, but you cannot fool all of the people all of the time”… Last night I walked back from a public meeting pondering this saying – attributed to Abraham Lincoln. 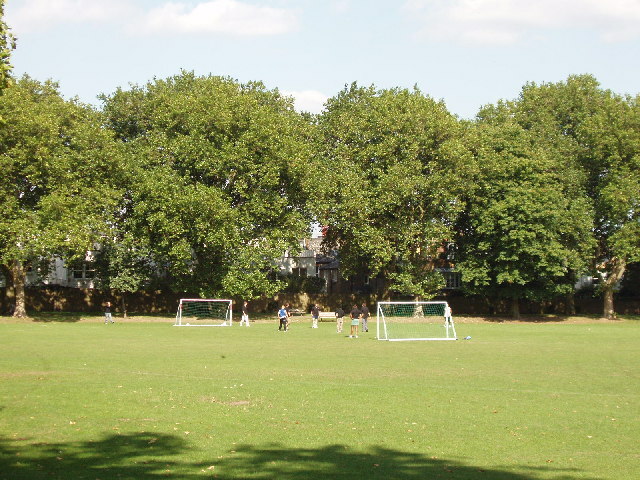 The meeting had been arranged by the Friends of South Park to discuss the future of that much loved open space and it appeared apt having witnessed Cllr. Greg Smith’s (Con) explanation for trying to sell off a proportion of it to property speculators. The Friends’ Group had argued against the Conservative Administration’s plans. Ms. Julie Lane gave a thorough presentation of the issues and did so in a manner that would make any barrister proud. She explained how the park was protected by a covenant but that the Council was looking to change this to facilitate the sale. Ms. Alex Schiewind then proposed a business plan that would see improvements introduced over the coming years. At this point Cllr. Greg Smith took to the stage. He is the Borough’s Cabinet Member for Residents Services. He said that the national and local debt was so colossal that they had to look at ways of raising capital and the park sale is a necessary measure. This is the same argument being rolled out across the Borough and is being used to justify the selling off of community centres, schools, youth clubs, council homes, a carers' centre, a families centre, libraries and many, many more treasured local facilities. Now we can add this park to the list. But their argument is baloney. I don’t want to get into the national debt debate now but will say there are many different views on this matter. Nobel prize winning economist Professor Paul Krugman made it pretty clear here that he believes the Government’s austerity budget is solely a consequence of a right-wing Tory philosophy and nothing to do with sound economic management. As far as the local debt argument goes then I think the Tories have a cheek. Firstly, I paid off £12 million of debt in the one year I was Deputy Leader of this Council (2005/6) which compares better than the £24 million (they actually include my figure in this) they claim to have paid off in their first term. Secondly, they waste our money. For example, they spend £5 million on propaganda and were actually criticised as corrupt for doing so by John Whittingdale MP – a leading Conservative MP in his role as the Chair of the Parliamentary Select Committee investigating the matter. Worse still, the Conservatives need to raise £35 million of capital to pay for the hideous new Town Hall offices in Hammersmith. When questioned last night Cllr. Smith denied this but he didn’t tell the questioner that his figures are highly contrived and do not have the confidence of independent observers or the Opposition. Local authority debt is like any long term loan or mortgage. Most Councils have debt they've inherited from previous administrations (of all colours) who built swimming pools, offices, houses, community centres, libraries, etc. That's how Hammersmith and Fulham’s debt came about. It's a judgement how much you pay off as you have to balance what other things you're sacrificing. At the moment debt is cheap to service. Land and property are also relatively cheap too. It is the height of incompetence to sell off council property when most property speculators know they can negotiate to get it for a song. Actually, many residents believe this Administration is too close to property speculators. In 2007 the Conservative Council held a property speculators conference which they titled “Open for Business”. They launched this unbelievable video which appears to indicate that they will manipulate the planning process to make it easier for speculators to get what they want. Later, they were attacked by the Sunday Times for sending Cllr. Mark Loveday (Con), (at tax payers’ expense) to Cannes on the French Riviera to meet more property speculators during which his officials explained he offered up the Borough’s “contentious development sites”. It is plain to see that their plans for many of these sell offs started well before there was any talk of a global financial crisis. South Park is “contentious”. It’s a park - not a “development site” but this Administration doesn’t see it like that. Not everyone in last night’s meeting was against the Tories’ plans. I sat next to one old lady who made it clear how she strongly supported the Conservatives. But she was in a minority of less than five who didn’t vote against their plans to sell off a corner of the park. The rest of the room (about fifty residents I think) vocally expressed their opposition to selling off any part of South Park. Rightly, they pointed out that once this green space is gone it will be gone forever. The Tories are relying on a belief that the Friends of South Park won’t have the funds or ability to legally test their plans to dispose of the park covenant. I’d guess they’d also hope to pack any vacant places on the committee with Tory activists and then expect all opposition to just fade away. I hope it doesn’t because if they get away with this park sell off then where will it all end? Maybe they think they can fool all of the people all of the time into believing that they have to sell of every available community asset. I'm with President Lincoln - I don't believe they can. New York Times On UK Coalition Government's Economic Approach: "It Boldly Goes In Exactly The Wrong Direction"
The New York Times offers an insightful take on the Conservative and Lib Dem Government's plan for managing our economy. Here's an extract "Maybe Britain will get lucky, and something will come along to rescue the economy. But the best guess is that Britain in 2011 will look like Britain in 1931, or the United States in 1937, or Japan in 1997. That is, premature fiscal austerity will lead to a renewed economic slump. As always, those who refuse to learn from the past are doomed to repeat it." Earlier in the article Paul Krugman questioned the logic of this austere approach concluding “In this case, the victims are the people of Britain, who have the misfortune to be ruled by a government that took office at the height of the austerity fad and won’t admit that it was wrong." Professor Krugman doesn’t duck explaining the real reason for the Conservative/Lib Dem’s approach. “Why is the British government doing this? The real reason has a lot to do with ideology: the Tories are using the deficit as an excuse to downsize the welfare state.” Click here to read the article in full. Krugman was awarded the Nobel Memorial Prize in Economic Sciences in 2008. He offers a very different view to that of David Cameron (Con), Nick Clegg (Lib Dem), George Osborne (Con) and Danny Alexander (Lib Dem) - who all tell us their way is the only possible way out to build our future economic prospects.